The BFA unit hosts an IBiSA Structural Bioinformatics Platform (RPBS), a Metabolism Platform and two technical facilities (Evanescent wave imaging system and Cytometry; Imaging). The Metabolism Platform (Coordinator: Pr Jean-Marie Dupret) is currently composed of three interplaying technical facilities: The Functional and Physiological Exploration (FPE) facility (head: Dr Serge Luquet), the Flex Station facility (head: Florence Petit) and the Bioprofiler facility (head: Prs Jean-Marie Dupret and Fernando Rodrigues-Lima). The Metabolism Platform is a complementary set of three technical facilities making it possible to explore physiological and metabolic pathways at different levels of integration. The purpose of the FPE facility is to explore metabolic parameters in rodents, especially energy transfers. The exploration of energy metabolism has been extended to small invertebrates through the acquisition of a metabolic measurement system: Calofly system (Sable Systems International) supported by the teams of Drs Serge Luquet and Hervé Tricoire. The Flex station aims at characterizing metabolic and signaling pathways in biochemical extracts and living cells. 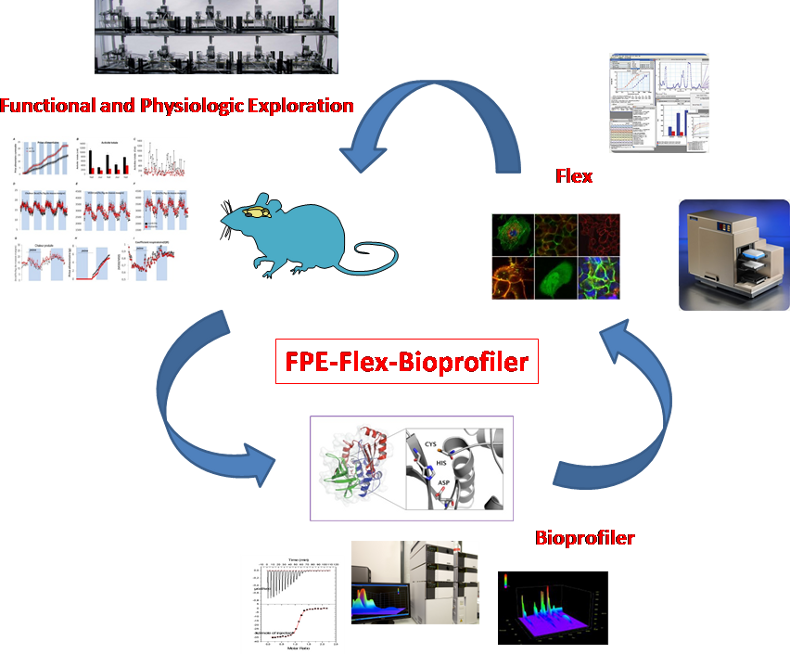 Lastly, the Bioprofiler facility detects and characterizes biomolecules that may potentially be involved in various (patho)physiological situations. Although each facility can work on autonomous projects, the three facilities are also working together in shared ongoing projects involving integrative and complementary approaches at animal, cellular, and molecular levels. If you want to use the Metabolism Platform, please read the “charte”of the platform and fill and return the “Fiche de demande d’utilisation” .